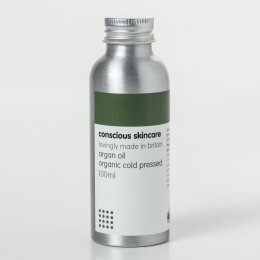 Since creating her own weekly skin care regime when she was 13, Rebecca Martin has loved looking after her skin. 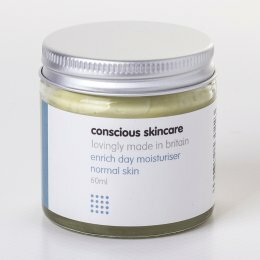 Now she produces an organic skin care range from her rural retreat in Wales hand using completely natural ingredients, so this paraben and SLS free skin care range is perfect for the most sensitive skin; and since its products are all based on different skin types there is guaranteed to be something for everyone. 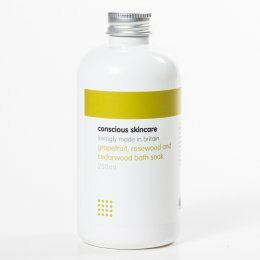 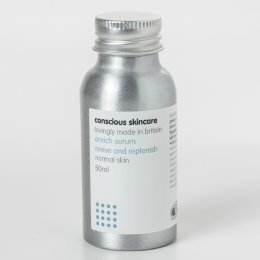 Conscious Skincare is committed to helping to protect the environment, which is why it uses recyclable and recycled materials in its products and packaging, as well as using solar power to generate electricity and heat water, which makes Conscious Skincare the most ethical skincare range around.